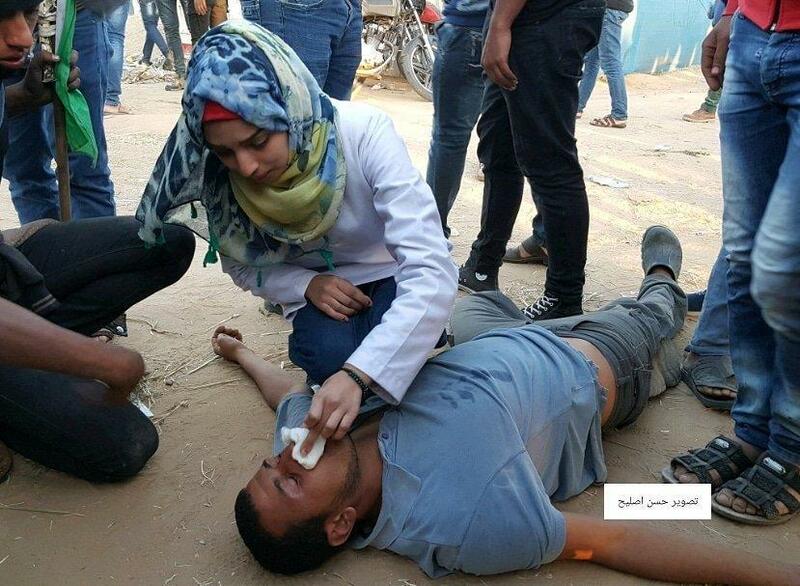 Razan al-Najjar, the 21 year old medic killed by an Israeli sniper on 1 June, treating an injured man, undated photo from Palestine Live on Twitter. 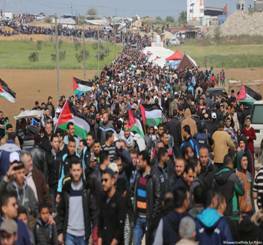 30,000 unarmed Palestinian protesters march toward the border with Israel on 30 March, 2018. 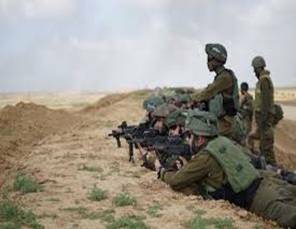 Israeli snipers aim at unarmed protesters. 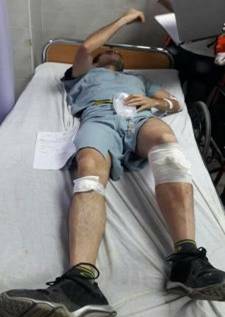 Human rights organizations, including Human Rights Watch,18 B’Tselem,19 Amnesty International,20 and United Nations officials have condemned the shooting of unarmed protesters.21 The United States government has enabled Israel’s blockade and military assaults by providing over $3.8 billion in military aid in 2018, 22 including the rifles used by Israeli snipers to shoot unarmed Palestinian protesters in Gaza. 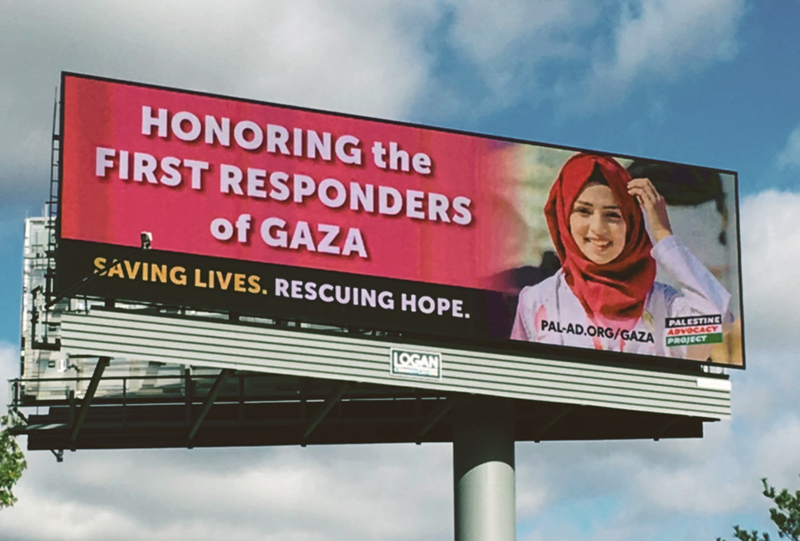 ** Additional 6,803 were treated in field medical trauma stabilization points.